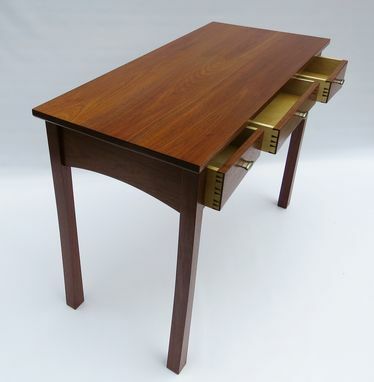 This desk measures 44 inches wide and 22 inches deep by 31 inches high. 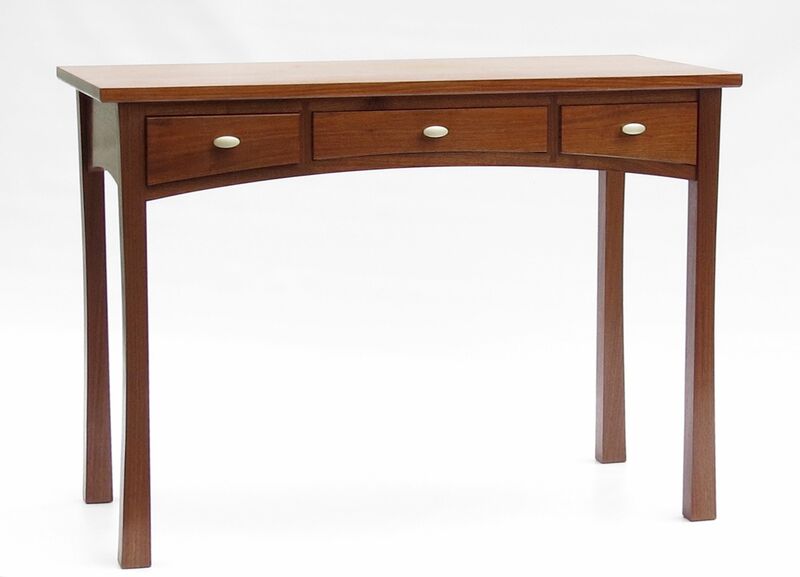 Its constructed with rock solid classic joinery such as mortise and tenon and hand cut dovetails. 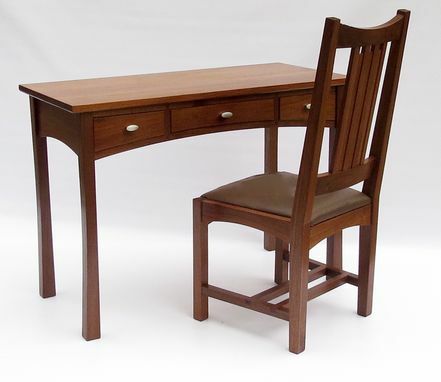 Shown in beautiful black walnut but can be made with any domestic hardwood of your choice. 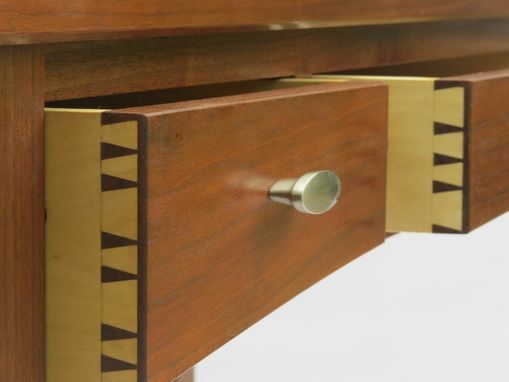 The curved drawer fronts are all grained matched along with the aprons. The hand shaped curved legs give the desk a nice visual appeal along with a stable stance. 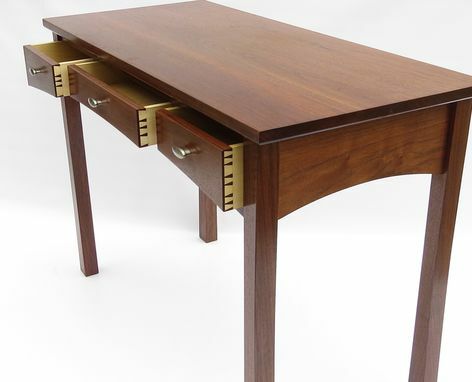 This can be built to your measurements along with your choice of materials and hardware. The chair in the pictures is not included.